To meet some of today’s biggest challenges in agriculture, including rising food demand, a shrinking land base and climate change, farmers should be encouraged to adopt a holistic approach to enriching their most valuable resource – the soil – according to a panel of experts who helped open last week’s National Conference on Cover Crops and Soil Health. “Cover crops to me are just the next natural step in trying to have a broader system, and I think the single biggest issue we have as farmers in this country is we don’t farm with a system in mind,” said panelist Howard G. Buffett, a philanthropist and Illinois farmer. To learn more, watch a recording of opening sessions from the National Conference on Cover Crops and Soil Health, held Feb. 17 – 19 in Omaha, Neb. Joining the 300 farmers, scientists, and industry and government representatives who met in Omaha, approximately 6,000 others participated by gathering at more than 200 local soil health forums nationwide, where this recording was broadcasted live. Also available online are presentations from breakout sessions and 10 short videos of innovative farmers describing their use of cover crops. Conference organizers are developing a formal list of recommended actions to increase cover crop adoption based on discussions at the conference and local forums. To see it when it becomes available, keep an eye on www.sare.org/covercropsconference or join SARE’s mailing list. The conference recording features a discussion of how cover crops can improve soil health and the major barriers to their increased adoption, and was led by Buffett and fellow panelists Jason Weller, chief of the USDA Natural Resources Conservation Service, and Ray Gaesser, Iowa farmer and American Soybean Association president. Following them is a panel of farmers who are pioneers in the use of cover crops, no-till and other soil management practices. Conference speakers addressed a wide range of ongoing challenges to cover crop adoption, including the need for more specialized seeding equipment, more advocacy by farmer leaders, more research on their economic benefits, and changes to insurance and conservation programs that better encourage their use. Distributed by SARE Outreach for the Sustainable Agriculture Research and Education (SARE) program, which is funded by the U.S. Department of Agriculture- National Institute of Food and Agriculture (USDA-NIFA). SARE’s mission is to advance – to the whole of American agriculture – innovations that improve profitability, stewardship and quality of life by investing in groundbreaking research and education. 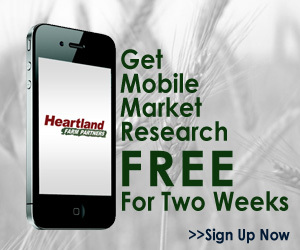 ← Cover Crops- It is Amazing how much interest there is these days!